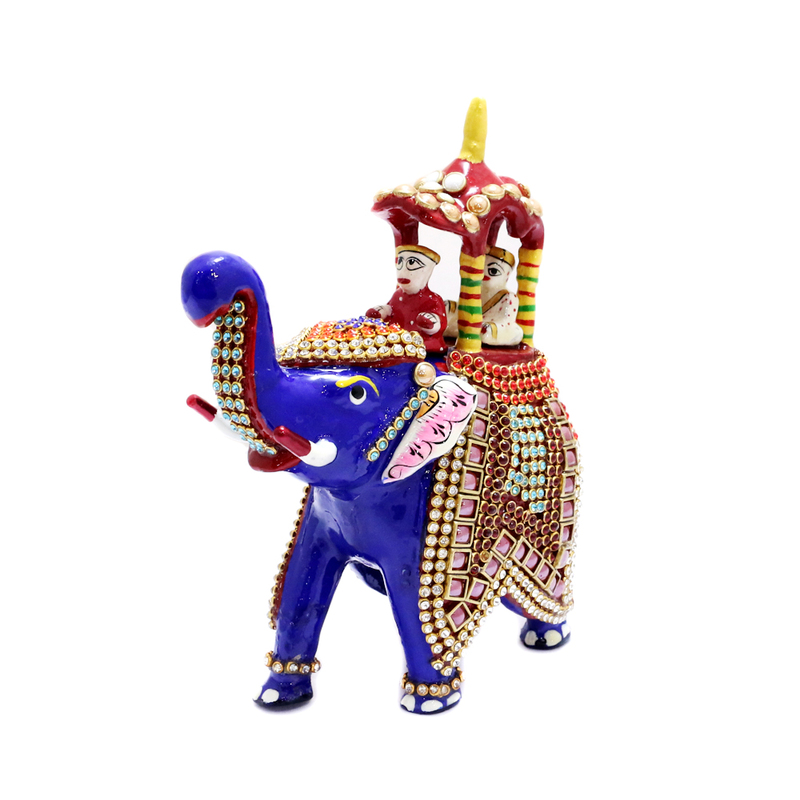 the royal blue elephant is entirely adorned with dense stone and meena designs. 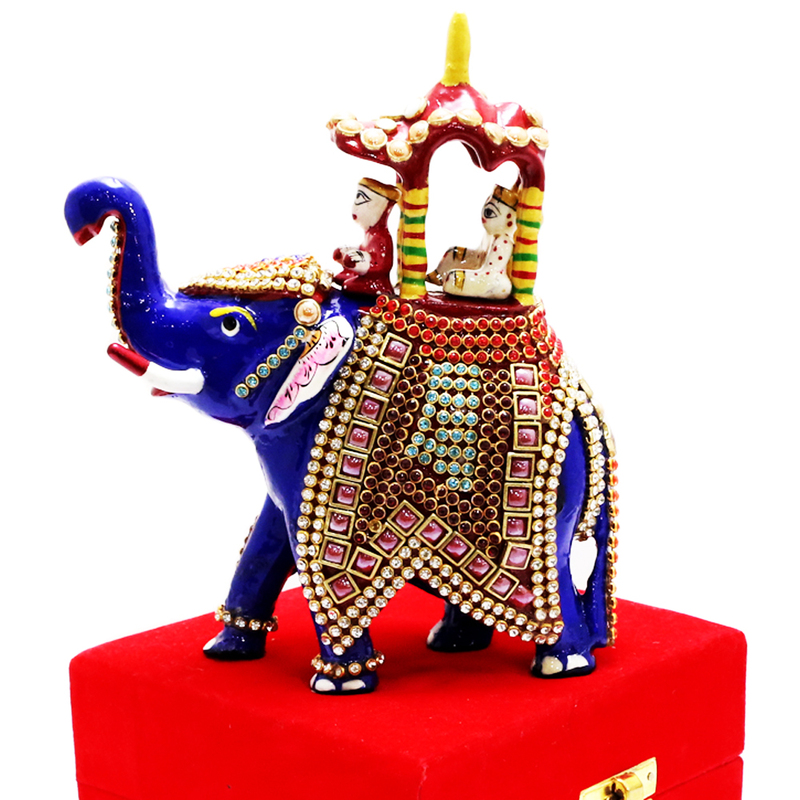 This elephant structure has a small shelter like temple on its back Read More..signifying royalty. 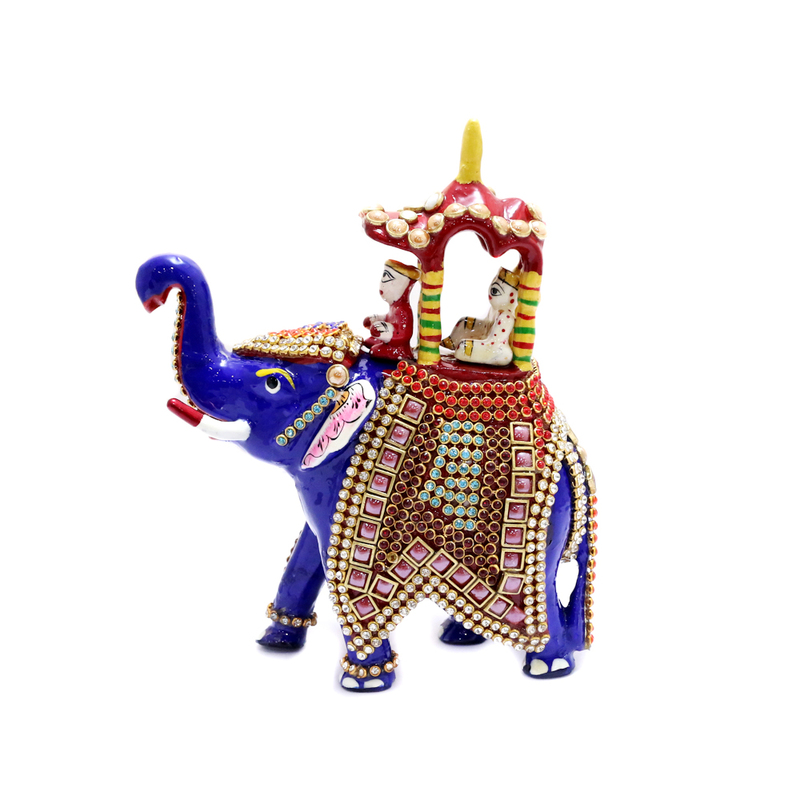 Flanked with intense stone work, this showpiece can charm any art lover. Show Less..